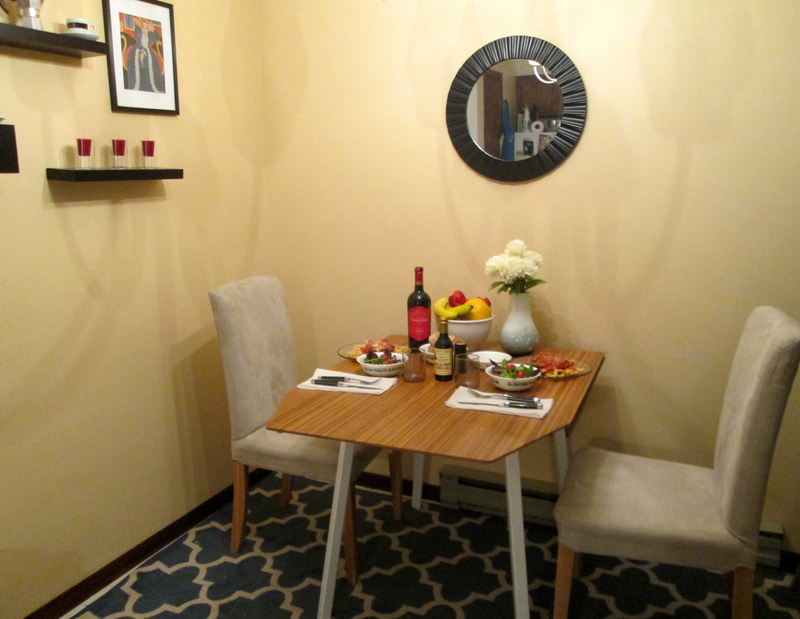 Posted on January 7, 2013 by Sarah S.
Here’s a sneak peak of my newly redecorated kitchen (homemade Italian dinner and all! Get the recipe for the parmesan chicken here.). 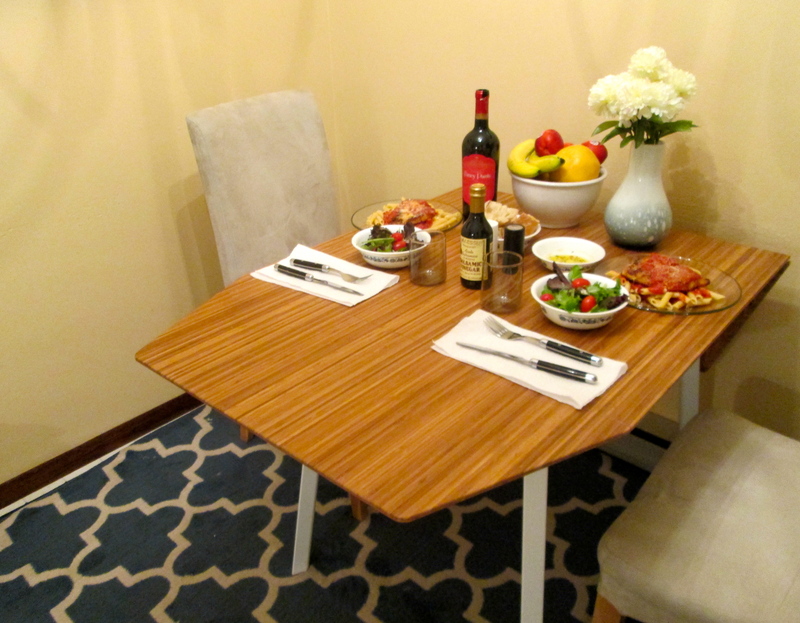 I was a bit skeptical when my sister suggested this rug, but I think it corners off the seating area nicely and has made our meals more comfortable and enjoyable. The chairs are not the right ones yet, but our new red chairs should be coming in soon (will update with pictures when complete!). This entry was posted in DIY & Tutorials and tagged decorating ideas, kitchen, mia prima casa, miaprimacasa, redecorate, rug. Bookmark the permalink.